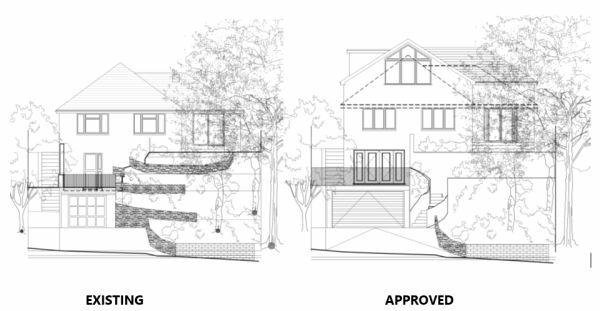 Borough of Poole: Pure Town Planning are delighted to announce that we have recently secured householder planning permission for alterations, extensions and remodel of an existing dwelling on Blake Hill Crescent, Poole. The scheme, designed by Hollington Architect and Design Team, sought to revitalise the existing dwelling by raising the roof height and extending into the roof and also extending to the rear to create additional habitable accommodation. The modified façade proposed high levels of glazing in accordance with the contemporary style emerging as characteristic of the area. As part of the application we prepared a thorough supporting Design, Access, and Planning Statement which set out the merits of the proposal in a clear and concise manner, whilst making it clear that the proposal safeguarded neighbouring amenity, accorded with the pattern of development and character of the area and was therefore in accordance with adopted local and national planning policies. The client was very pleased with the decision and is now preparing for development on the site. 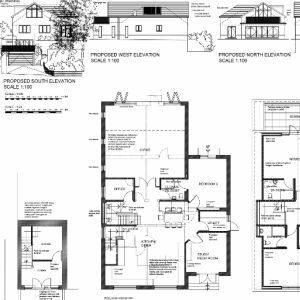 If you have an existing property and would like to bring it into the 21st century or if you’ve had planning permission refused for a similar scheme then why not call the experts at Pure Town Planning on 01202 585524 or email info@puretownplanning.co.uk for a FREE 30 minute consultation on how we can help you.